KXU (“The Studio”), a pay-as-you-go group fitness and wellness facility situated at 241 Pavilion Road, London SW1X 0BP (“The Premises”) is owned by KXU Ltd (“The Company”). This Website and the Goods and Services displayed on it are provided by KXU Limited (collectively referred to in these Conditions as "we", "us" and "our"). When we refer to "you" and "your" we mean the user of this Website, purchaser of Goods or clients of our Services. We reserve the right to change these Conditions at any time. All changes to the Conditions will be effective after the change is published on this Website. You should check these Conditions before each order as they may have changed since your last visit. Every client shall be at least 18 years of age. Class packages of 1, 5, 10 & 20 are valid for 6 months from date of purchase. ‘First 2 for U’ classes are valid for 14 days of purchase. For promotional packages please see separate terms advertised at the time. Class packages and are non-refundable or transferrable. The Client warrants and represents that he/she is in good physical condition and that he/she is capable of engaging in food & supplementation programs and active or passive exercise and that such programs and exercise would not be detrimental to his/her health, safety, comfort or physical condition. If his/her physical condition changes this must be relayed to the Studio’s manager. KXU operates a 24-hour cancellation policy for all classes. If you cancel your booking with 24 hours’ notice prior to the class start time your credit will be refunded to your account. Class cancellations made less than 24 hours’ notice will forfeit their credit unless someone is able to take your space at which point the credit will be returned to your account. Clients must provide 24 hours notice when cancelling or re scheduling any Medispa or personal training appointments. If a client fails to attend an appointment without providing the required notice KXU reserves the right to charge to full amount of the service. Please note all our Medi-Spa single sessions, treatments and packages are valid for 12 months from the day of purchase. Neither the Studio, the Company or their directors, employees or agents shall be liable for any loss, damage or theft of personal property belonging to the client or their guests upon the Studio premises. Neither the Studio, the Company or their directors, employees or agents shall be responsible for any death or injury, occurring upon the Studio’s premises or as a result of the use of facilities, food, beverage, supplements and/or equipment provided by the Studios, except to the extent that such death or personal injury arises from any negligent act or negligent omission of the Studios, the Company or any agent or employee of the Studio or the Company. 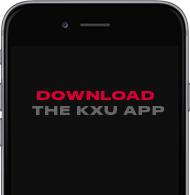 Normal hours of operation and the hours in which any facility within KXU are available to clients upon request or from the Studio’s website. The Studio reserves the right to vary these opening times. In addition, KXU has the right at any time to close any or all of the facilities for the purpose of cleaning, building, decorating, repairs or special functions. During bank and public holidays special hours apply and these can be obtained upon request or from the Studio’s website. The Studio retains the right to vary, add or eliminate any of the particular services and facilities provided, including the class timetable and class instructors. Only Personal Trainers from the Studio may be used in the Studio. The Company cannot accept responsibility for any loss, damage or theft of personal property belonging to a client occurring upon the Studio’s premises. All lost property will be recorded in the lost property log book at the Front Desk House and kept in a secure place. Personal Items including clothes, shoes, gym equipment and toiletries will be stored for a minimum of 1 week, and valuable items including phones, jewellery, glasses and watches will be stored for a minimum of 1 months. After this time personal items will be donated to charity.